Thought to be an ancient cross between a lemon and an orange, the Meyer lemon was brought to the United States from China in 19081. In the 1940s, Meyer Lemon trees were identified as carriers of a citrus virus plaguing commercial orchards at the time. The “Improved” variety was selected from one virus-free tree by Four Winds Growers in the 1950s, and marketed in 19753. 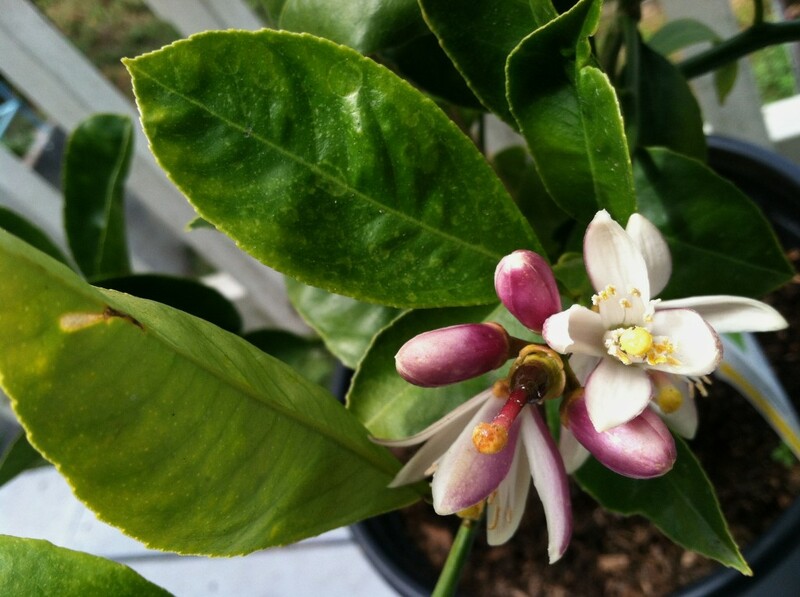 So, how can you grow one of these beautiful, fragrant, delicious trees? If you don’t live in a warm climate where the temperature stays above 32°F, you will need to grow your lemons in a pot. Choose a container slightly larger than the root ball of your tree with good drainage holes and fill with any well draining organic potting mix. Allow the soil to dry slightly between watering, then water deeply. Detailed information is available from Four Winds. 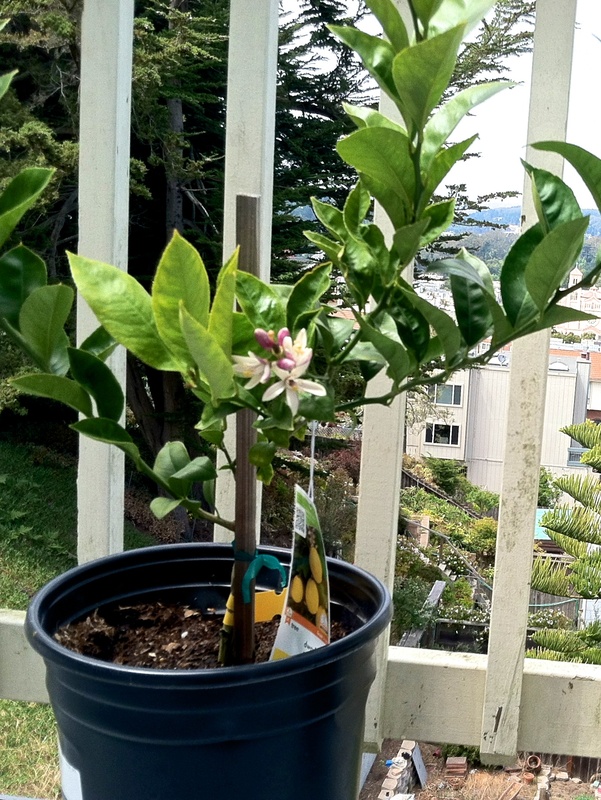 My little tree has passed a very happy summer in a 5 gallon nursery pot on my San Francisco balcony. It seemed equally happy through our foggy summer and our sunny autumn. This year I chose to remove all of the fruits as soon as the y form, because I wanted this young tree to use its energy to build strong new branches and leaves in hopes of producing more lemons in the future. But I can still enjoy the blossoms! When one of these lemon flowers opens on my patio, the fragrance is so powerful it can be savored indoors through a single open window. Our friendly neighborhood hummingbird excitedly greets every new bloom, and sometimes drops by just to check on his favorite nectar source.